Forced by her alcoholic mother to use her ability to make extra money, Maddie identifies the quickly approaching death date of one client's young son, but because her ability only allows her to see the when and not the how, she’s unable to offer any more insight. When the boy goes missing on that exact date, law enforcement turns to Maddie. Any time a book brings tears to my eyes, I figure that it has be a winner. That means that I became so invested in the characters that I really cared about them. I loved Maddie but what made her really real to me was her alcoholic mother. Her experiences made me recall growing up with my mother. Her best friend, Stubby, also reminded me a lot of the friends I had and some that I still have. WHEN is what happens when a young adult novel is done right. The story will keep you entranced and the villain was a surprise. It is one that that will delight readers of all ages. 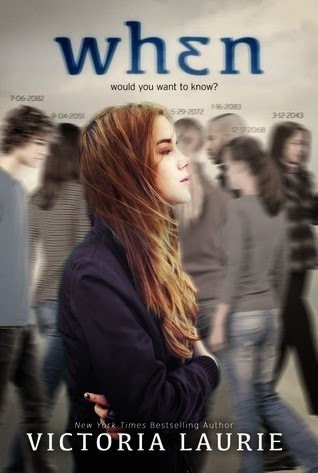 I recommend this to any of my readers who enjoy suspense and young adult.